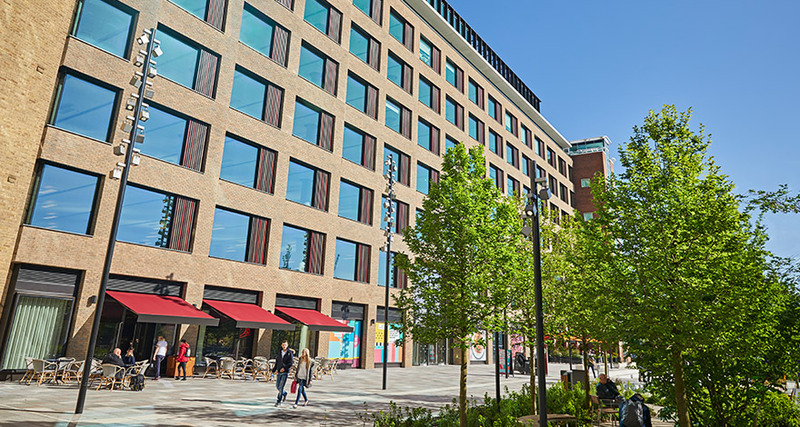 Mitsui Fudosan, Stanhope and AIMCo have completed on over 250,000 sq ft of letting deals in White City this month, including the biggest Central London office letting of the year so far to Publicis Media. The French-owned media agency has 212,000 sq ft across seven floors at 2 Television Centre, which means the building is now 100% let or under offer. Publicis will move its six media agency brands and supporting practices with more than 2,000 staff to Television Centre next spring, joining luxury lifestyle brand The White Company which relocated its headquarters to the building in February. Earlier this month, British biopharmaceutical company Autolus signed on to become the first major life sciences company to move into White City Place. The NASDAQ-listed company, which develops next-generation T cell therapies for the treatment of cancer, will initially occupy approximately 33,000 sq ft of office and lab space on the fifth floor of the MediaWorks building from October. This month’s major lettings were followed by the announcement last week that a second life sciences company, UK biotech startup Synthace, has signed a deal to take 13,000 sq ft on the fourth floor of the WestWorks building. Synthace was recently named as one of the ‘World’s 30 Most Promising Technology Pioneers’ by the World Economic Forum, joining Airbnb, Google, Spotify and Twitter who have also previously been given the accolade. Eiichiro Onozawa, Managing Director of Mitsui Fudosan, commented that these lettings signal White City Place’s transformation into a “hotbed of scientific and technological innovation”, anchored by the nearby Imperial College London campus. Along with Synthace, last week saw two more companies letting office space at WestWorks. Attention Seekers, an award-winning production company and creative agency has signed up for 4,000 sq ft, and Arts Alliance Media, the world’s leading provider of digital cinema and software services, has taken 7,000 sq ft. They join Jellycat and Cutting Edge in making White City Place their home in the Westworks building which has nearly 50,000 sq ft of floorspace across 12 units, specifically designed for creative SMEs. White City Place is already home to leading technology, media and creative companies including Yoox-Net-A-Porter, OneWeb, ITV, and Huckletree West.